St Philip and St James takes its duty and obligation to protect all extremely seriously. We have adopted the national Church of England's robust procedures and guidelines. You can find out more about the national policies and procedures at www.churchofengland.org/safeguarding. Professionally-led singing for people of all abilities. Join us for a friendly sing-a-long. Songs from every decade. Biscuits for every palate. 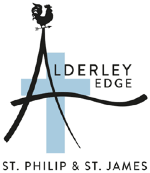 Join us on Good Friday (19th April) when we will meet for worship at Alderley Edge Methodist church at 10:30. Then, halfway through the service we will process with the cross through Alderley Edge to complete the service at St Philip & St James at around midday. Have a look at our calendar for more Easter events. All funds raised will go to the restoration of the organ. 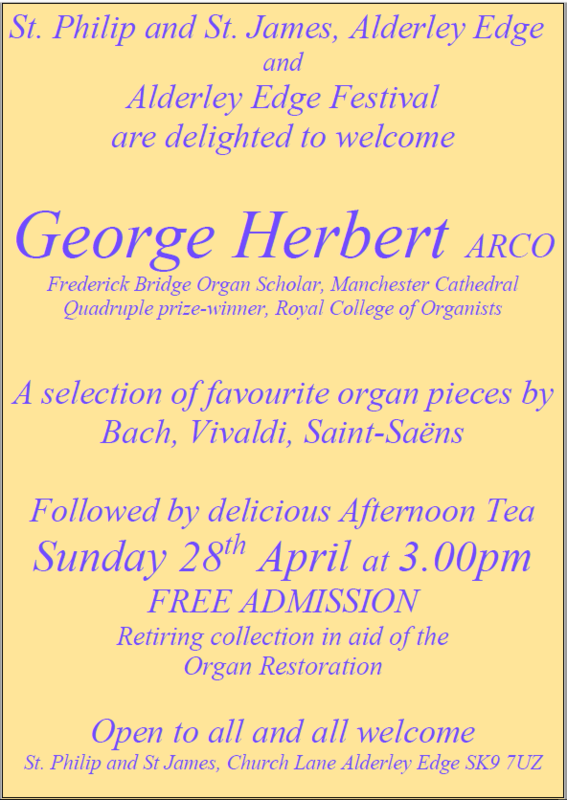 George Herbert will entertain us with a selection of favourite organ pieces by Bach, Vivaldi and Saint-Saens. The short recital will start at 3.00pm, followed by Afternoon Tea at approx 4.00pm. This is an open event and everyone is welcome, so bring family, friends, acquaintances, enemies, everyone. George is an 18 year old student at Cheetham’s School of Music, where he studies organ, voice and trumpet. His love of music was ignited at Pownall Hall School, Wilmslow where he sang in the choirs and played his cornet in the Carol Service at the age of eight. If you are thinking of coming, contact Wendy Davies on davieswendy7@sky.com so we can organ-ise the catering.